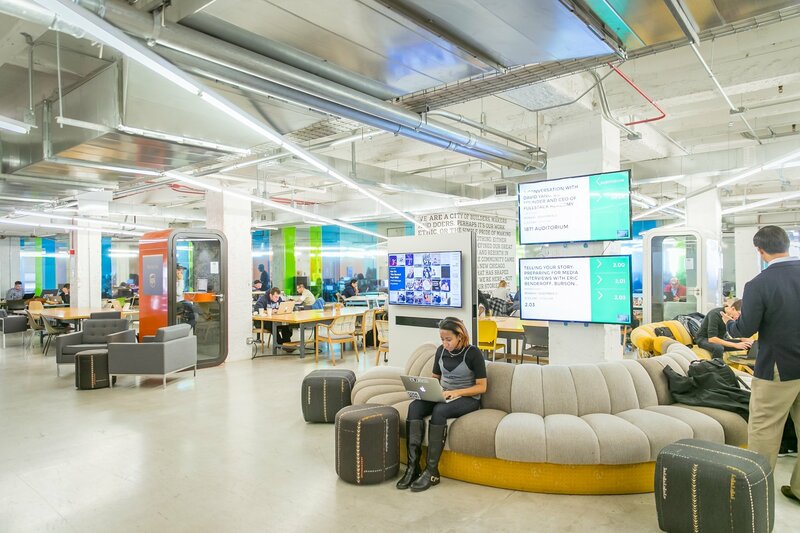 CHICAGO (May 11, 2015) – Loyola University Chicago has teamed up with 1871 to open a workspace in the digital technology incubator’s historic Merchandise Mart space. The partnership allows Loyola student entrepreneurs, as well as the University’s world-class faculty, to plug directly into the Chicago entrepreneurial ecosystem through events, special programming, and access to critical business resources like venture capitalists, media outlets, and prospective corporate partners. “Our relationships with universities have been essential in our ongoing effort to expand innovation and entrepreneurship throughout Chicago,” said 1871 CEO Howard A. Tullman. “Having university members and student entrepreneurs as a part of 1871 creates new and exciting opportunities for everyone. We are thrilled to welcome Loyola to our community." The partnership also allows 1871 to connect its members with Loyola faculty who are interested in serving as mentors and coaches. One of the first endeavors of the partnership includes the University’s School of Law, School of Communication, and Quinlan School of Business faculty engaging with entrepreneurs who have received an 1871 diversity scholarship. Over the past four months, six faculty members have met with these entrepreneurs weekly to coach them on their individual areas of expertise. The program culminates with a May 11 presentation at 1871. Six Illinois universities now have workspaces at 1871, and 1871 has a number of endeavors focused on student entrepreneurs. The Chicago College Startup Competition, in which ten college businesses receive a free one-year full membership, allows entrepreneurs in college to continue to grow their businesses in Chicago after graduation. 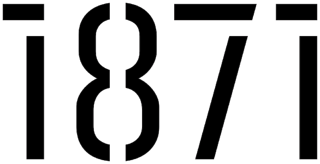 Additionally, 1871 hosts Campus 1871, a weekend-long event where college students interested in technology entrepreneurship harness their passion by working with peers from partner universities to ideate, create, and bring to life viable startups. Student innovation took center stage from April 10 through April 12 at this year’s Campus 1871. Twenty Loyola students participated in Campus 1871, including sophomore finance and marketing major Jessica Chitkuer, whose team won first place for their creation of an app and website that connects users looking to learn new languages. Chitkuer and her team built a fully working prototype, designed product features, crafted a pitch deck, and conducted market validation in only 72 hours. To learn more about Loyola’s 1871 partnership, or how to engage directly with our students and faculty, please contact our Office of Corporate Engagement at 312.915.6512 or visit LUC.edu/corporate. Founded in 1870, Loyola University Chicago is one of the nation’s largest Jesuit, Catholic universities, with nearly 16,000 students. Nearly 10,000 undergraduates hailing from all 50 states and 82 countries call Loyola home. The University has four campuses: three in the greater Chicago area and one in Rome, Italy, as well as course locations in Beijing, China; Saigon-Ho Chi Minh City, Vietnam; Vernon Hills, Illinois (Cuneo Mansion and Gardens); and a Retreat and Ecology Campus in Woodstock, Illinois. The University features 11 schools and colleges, including the Quinlan School of Business, Marcella Niehoff School of Nursing, Stritch School of Medicine, College of Arts and Sciences, School of Communication, School of Continuing and Professional Studies, School of Education, School of Law, School of Social Work, Graduate School, and Arrupe College of Loyola University Chicago. Consistently ranked a top national university by U.S. News & World Report, Loyola is also among a select group of universities recognized for community service and engagement by prestigious national organizations like the Carnegie Foundation and the Corporation for National and Community Service. To learn more about Loyola, visit LUC.edu, “like” us at Facebook.com/LoyolaChicago, or follow us on Twitter via @LoyolaChicago or @LoyolaNewsroom.